Anna Akhmàtova i Orides Fontela, un joc de miralls poètic, a càrrec de Jaume Creus i Joan Navarro. Ossip Mandelstam, Stone. ; Anna Akhmatova, Requiem y otros escritos/ Requiem and other Writings (Spanish Edition). Anna Akhmatova was one of the most beloved of Russian poet-wriiters although her work was condemned and censored by the Soviet authorities. Although she had visited the West as a young woman, Anna did not try to emigrate during war, revolution, or Stalin's Great Terror, but served as a witness to the atrocities committed around her. Several of her friends and her husband were sent to the gulag to die or into exile; her son Lev was repeatedly imprisoned. Anna Akhmatova is currently considered a "single author." If one or more works are by a distinct, homonymous authors, go ahead and split the author. 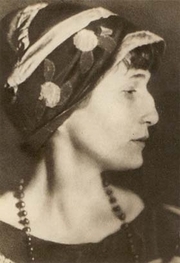 Anna Akhmatova is composed of 32 names. You can examine and separate out names.